Is It Time to Crash Test Your Wealth Management Strategy? "Don't always trust what you see." These wise words were spoken by by Dr. Vijay Kedia, a world-renowned investor who is among the most successful market investors in India. Right now, things are good. The Dow hit a record high in January 2018. Companies are feeling good about the new tax law. Investors everywhere are enjoying a bull market. Even if it doesn't feel like it, this is the perfect time to crash test your wealth management strategy. While most of the headlines about the stock market are incredibly positive, some point to the Dow taking a tumble in 2018 – and it could be soon. A crash may or may not be imminent. But either way, taking Dr. Kedia's words to heart today can save you money and peace of mind tomorrow. For the better part of a decade, stocks have been working wonders for retirement accounts. As a result, many portfolios have become much more dependent on stocks. While this is paying off right now, a crash could cost you a pretty penny. If you haven't considered the ratio of stocks and bonds in a while, now is a good time to do so. At the very least, you will have a better understanding of how much wealth you could lose during a stock downturn. It also may inspire you to rebalance your portfolio to protect yourself. Short of spending time with a soothsayer or procuring a crystal ball, there really isn't a way to determine how your portfolio will perform during a market free fall. But you can determine the potential damage. One way to do this is to take a look at how different asset classes have fared during downturns from the past. For example, you could look at how the market fared in 2008 and extrapolate it to your current portfolio. That year, the S&P 500 index lost 37 percent of its value and the Bloomberg Barclays U.S. Aggregate Bond Index gained 5.2 percent. If your portfolio consisted of a 50/50 mix of diversified stocks and bonds, you would have taken a loss of about 16 percent. If your portfolio was comprised of 70 percent stocks and 30 percent bonds, you would have suffered a loss of 24 percent. Determining the potential damage is a great way to help you refine your wealth management strategy to one that protects both your assets and peace of mind. Once you understand your stock-bond mix and determine the potential damage, it's time to adjust as necessary. You may want to rebalance your portfolio. You may also want to consider changing your strategy to include more alternative investments, such as life settlements, which are not affected by what happens on Wall Street. Remember, you shouldn't always believe what you see. Just because your wealth management strategy is working for you today doesn't mean it's guaranteed to work for you tomorrow. 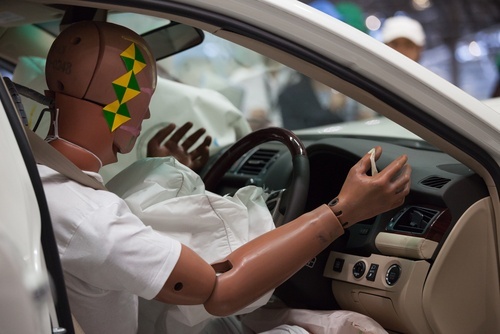 All you can do is crash test it – and then make adjustments to protect yourself. If you would like help evaluating your wealth management, connect with one of our experts today. We'll help you understand what could happen – and how to position yourself in a way that protects you and your wealth.